Not The Old “Records Are Missing” Line? I believe that this Flowers has been planted in a hole that is way too deep. Now Delaware State Treasurer Chip Flowers is, “ADMITTING”, that records concerning the growing controversy over misuses of state issued credit cards in his office, are missing. These records were requested under FOIA applications. They would show, if they existed, how the cards were used and how the money was reimbursed. But unfortunately, the office that is in charge of how the state’s money is invested and spent, can’t seem to keep track of the simplest thing like a credit card statement. Should we be trusting Mr. Flowers with millions, maybe billions of tax payer’s money, when he is now demonstrated the inability to run his office, an inability to get the story straight, and an inability to oversee the people he is in charge of. The silence from the Governor’s office and the legislature is deafening. Here is a video from Delaware Online in which Mr. Flowers attempts to spin his admission that the records are lacking or missing into him being an honest and forthright person. All well and good Mr. Flowers, but even an honest and forthright person must answer for their mistakes, especially when they are elected to office, and entrusted with such a great responsibility as the Treasurer’s Office. 9 Comments on "Not The Old “Records Are Missing” Line?" It doesn’t mean a thing, Flowers will cruise to reelection. There is no GOP to oppose him. Now, if we had an Inspector General with subpoena and investigative powers, the whole issue changes. However, the Dems run the state and will for a long time so they will stop the IG idea and crony GOP wants their slice of the pie so they will sit back, make silly comments and move on to getting jobs for their friends and wasting our tax money. Has anyone else noticed how he continues to refer to himself in the third peron? Both in video an on his FB page? Kinda like George Parrish. The underlying issue is still, what is the big secret that he his covering up? Your continueing effort to create another layer of govt. is right up there with the sherrif issue. A non starter at face value. waterpirate while I’m not saying I support the idea of an Inspector General, I’m curious why you are opposed. What we have now amounts to the foxes guarding the hen house. Look at how much was known and covered up during the Minner administration. This includes the then treasurer, now governor’s involvement in the RT 1 sweetheart deal in Milford that was finally exposed. These deals were brought to the attention of those responsible for investigating such corruption at the time yet nothing was done. So who’s watching the fox that’s watching the hen house? We have a system in place allready to deal with the abuses of power and corruption. A flawed system, yes. No sane person can realistilly believe that another layer or office or position in Govt. is the answer to anything. We have enough laws and procedures in place now to deal with virtually anything. It is the way we choose to apply and enforce the existing laws that needs to be addressed. I fear that the office of inspetor general would amount to nothing more than the witch hunts that congress gets taken on at a huge expense to the taxpayers. I fear independant unfettered unacountable anything. Believing that a inspector general would do the peoples bidding is as flawed logic as believing that the sherrif could or would arrest the govenor. The missing records maintains Flowers a small level of continued and ongoing plausible deniability. Imagine the crap storm that would ensue, should it become fact that he and his female fellow traveler were together off the clock, on the tax payers nickle, at the same hotel, registered in one room???????? Why all this insistence on an Inspector General. The way Delaware works it would just be another Democrat Bureacracy, either appointed by a Democratic Administration, or elected by Democrats. Either way life would be unchanged, except for having to pay for more government. Inspector General? 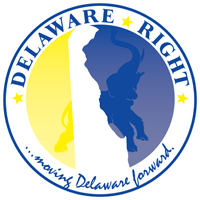 Just what Delaware needs, another layer of cronies to keep the truth from the people. The only thing that can end the corruption in government is the sweet, disinfecting light of the sun. waterpirate like I said I don’t agree with the idea of an Inspector General, but what’s in place we both agree is flawed. The question is just how flawed and is it flawed beyond repair? I agree the SWHTF if it comes out they were together, no doubt. That will open another whole can of worms of just how deep did the presumed coverup go. I also worry just what will come out, if the Feds step in to investigate all the alleged corruption, in this state. It’s happened before in other states and the end result is never good. I think we can all agree that this has now gone beyond just the occasional misuse of state issued credit cards and has called into question the integrity of an elected official. That being said, calling for creating another government agency at he expense of the tax payers is not the answer. That is what I have come to call, “big government conservatism”, much in the way many felt expanding the size and scope of the sheriff’s office was a sign of conservatism, not in my view. The Legislature should form a committee and have Mr. Flowers testify under oath.